Can Cats Eat Popcorn? Is Popcorn Good Or Bad For Cats? Can cats eat popcorn? 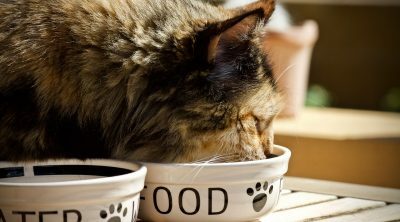 Where does it stand in your feline nutrition? Is it even a healthy snack for kittens? While you watch your favorite TV show, you might be eating a bowl of popcorn. If some kernels fall into your lap, your cat may like to chew on a stray kernel. But don’t worry, popcorn is safe for cats. However, you shouldn’t feed popcorn to young and old cats as this food may present digestive hazards. Although, popcorn is safe for kittens, the safety will still depend on how it’s prepared. If you didn’t prepare it yourself, it may contain additives that can cause an upset stomach. Don’t allow your cat to make eating popcorn a habit. Each time you feed popcorn to your cat, make sure that you only give this snack to your pet as an occasional treat only. Can Cats Eat Popcorn with Flavorings? Why Popcorn with Salt is Bad for Your Cats? As mentioned earlier, you should never feed popcorn to your cats that are made with additives. The popcorn bought from a movie theater should never be fed to your pet. It is just outright bad for felines. Movie theater popcorn has a large amount of fat, sodium, and calories that cats do not need. The high fat content generally comes from the amount of butter used on the corn for the flavor. Cats that eat butter may have serious stomach upset after eating. Movie theater popcorn also has a high amount of salt that you cannot control. Cats who eat popcorn brought home from the theater run the risk of ingesting too much, thereby risking sodium poisoning. There really is no reason for a cat to eat theater popcorn other than your own preference. Do not be selfish and offer this food to your cat! Some easy-to-make microwave popcorn may be bad for your pet as well. While basic microwave popcorn seems safe and healthy, there may be hidden preservatives and chemicals within the corn kernel that could affect your kitty. 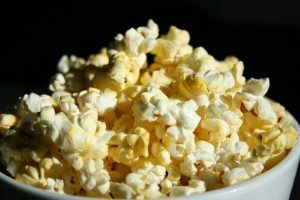 It may contain toxic chemicals that are not made known on the label, and there are also arguments suggesting the bag in which popcorn is heated has elements of potential toxins that are released with heat. Pre-made varieties may contain onion and butter or salt which are all harmful to your cat’s health. Gourmet popcorn can be so delicious but it is not safe for your cat. This type of popcorn will include brands that are coated in chocolate or caramel. You should also avoid feeding your cats a variety of popcorn that is powdered with cheese flavorings. If you do offer popcorn to your cat, be sure to offer the type that has no salt or added seasonings. Plain popcorn may seem too plain for you to eat, but for a cat, plain popcorn is the only type that is somewhat safe to eat-or at least pose the least amount of risk. Your cat’s digestive system is quite sensitive. Changing his diet may usually cause problems. Switching from one cat food brand to another can be unsettling to your cat. 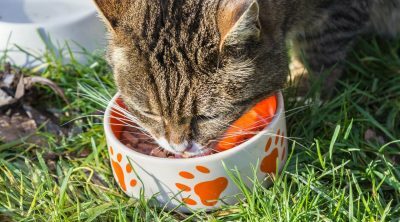 If simple changes to actual cat food can upset your cat’s stomach, think about what can happen when you offer human food to your cat. 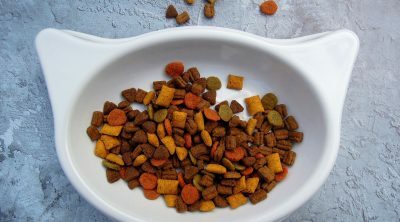 Cats are not supposed to be able to digest human foods, therefore there is always a risk your cat will have a reaction from what you feed him. Thus, if it’s your cat’s first time to eat popcorn, feed him small amounts of popcorn. And make sure that the kernel is plain, without flavorings. Plain popcorn is fine as there is nothing that is toxic to your pet’s digestive system. Popping true corn kernels in an air popper may be the safest way to offer popcorn to your cat. Popping in the popper will prevent adding chemicals and preservatives, or added sodium and fat, while keeping seasonings at bay. A natural corn kernel that has been air popped will not harm your cat. 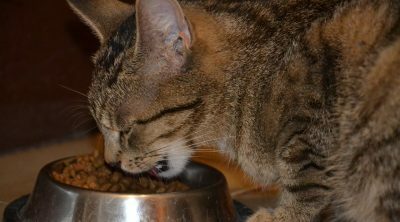 Your cat may not eat the kernel or show any interest, but if your cat does wish to eat the kernel, this is deemed safe. Popcorn is actually corn which is a starch-based grain. It is rich in carbohydrates and your feline friend does not need too much grain. It does not have enough enzymes in his saliva to digest these types of carbs. Carbs are also known to break down into sugar, then fat, which causes weight gain in your cat and uneven sugar levels. Air-popped and freshly made popcorn is okay for your cats, as long as is offered in moderation. The scent of this food can be quite attractive to your cat’s sense of smell. However, popcorn does not offer real nutritional value to your pet. Popcorn truly is just a treat and should be thought of as much. Never substitute popcorn for a proper meal, or offer popcorn every day. Most cats in the wild do not eat plant-based food. The grain that they consume is already in the stomach of their prey. That said, too much carbs can be harmful to your kitten’s delicate digestive system. If the popped corn is not properly digested in your pet’s stomach, it can lead to abdominal pain and flatulence. Small amount of salt can still be safe for your cats. However, too much of it can be very harmful to your feline. In fact, putting your pet in a high-sodium diet can develop heart problems and blood issues, especially hypernatremia. Your cat receives the sodium he needs through cat food, and does not need any additional salt intake for any reason. 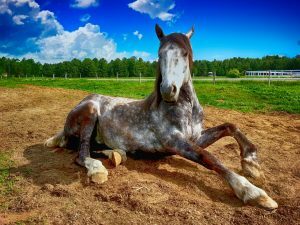 Although, sodium is essential in your pet’s bodily functions, too much of it can cause imbalances within his system leading to long-term health problems. Popcorn kernels must be fully popped so they can be safely eaten by cats. Un-popped kernels should never be chewed by your cats as they can be too tough. If they’re taken in large amount, your cat might not be able to digest them properly causing problem to his digestive system. That said, it’s necessary to check the bowl of popcorn before giving it to your feline friend. Make sure that it doesn’t contain any un-popped kernel. Keep a close eye on him when your cat is eating popcorn for the first time. Note of any special discomfort. If your cat accidentally consumed un-popped kernel, watch for its symptoms of distress. Popcorn is rich in fiber. It’s true. Hence, humans tend to eat it to make them feeling full longer. But this isn’t the case with cats. 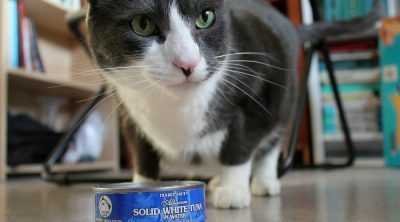 Adding more of it to your cat’s diet won’t do any good to your cat’s health. Veterinarians do not advocate giving popcorn to cats as a source of fiber. 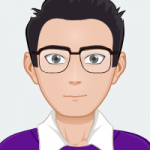 The reason for this is that there are other ways to make sure that your cats can get enough fiber that they need to ensure the health of their digestive systems. 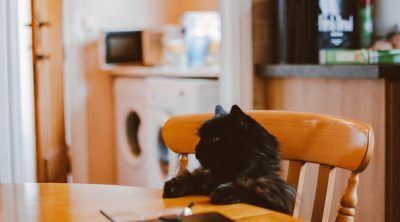 Even though popcorn does not cause any harm to your furry friend, it does not offer enough nutrition to be considered a valuable addition to the cat’s diet. If it’s just a treat, you may feed it to your pet. However, do not use it as a source of fiber for your cat. Foods that don’t have nutritional benefits should be avoided. It’s an unnecessary habit. If you think that your cats enjoyed eating popcorn, give them a little. It must be plain. That is, without salt and sugar, or chocolate.